A man arrested following a deadly shooting and SWAT standoff in National City Saturday is scheduled to make his first court appearance Wednesday afternoon. 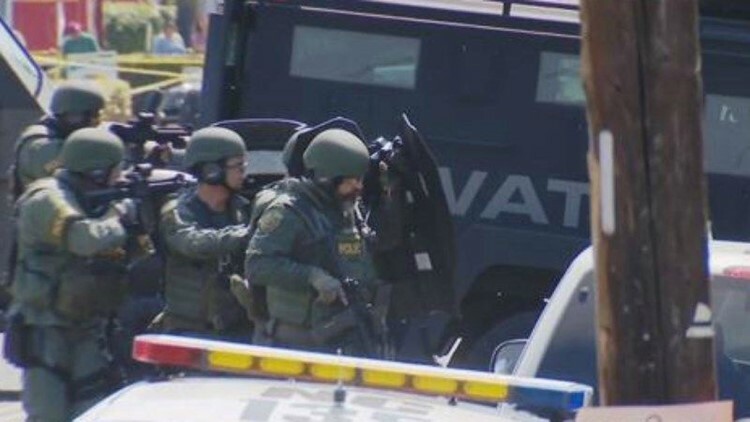 SAN DIEGO (NEWS 8) — A man arrested following a deadly shooting and SWAT standoff in National City Saturday is scheduled to make his first court appearance Wednesday afternoon. 24-year-old Alejandro Robles is charged with one count of murder and several weapons and drug related charges. Police say there were four people in the apartment on East Eighth Street when gunfire erupted. Robles holed up inside a residence afterward, prompting a SWAT standoff that lasted more than eight hours, according to authorities. Two died, the other two, including Robles, were wounded.